With its gooseneck steel arm design, the wall sconce is classic warehouse lighting for any industrial styled space. The black metal dome shade offers an extra dose of industrial style. This 1-light wall sconce features the black finish that will complement many industrial, urban, loft, and interior decors. This industrial-inspired swing arm wall lamp is an attractive task and reading light. It features a classic black finish with a bell shade. Functional swing arm extension allows you to direct the light up and down. This transitional swing arm wall lamp is an attractive task and reading light. It features elegant champagne, golden finish with a bell shade. This single light wall lamp is an attractive task and reading light. It features a classic metallic gray finish with a cone-shaped shade. The wall lamp is an alluring blend of industrial and transitional style. The white metal dome shade offers an extra dose of industrial style. 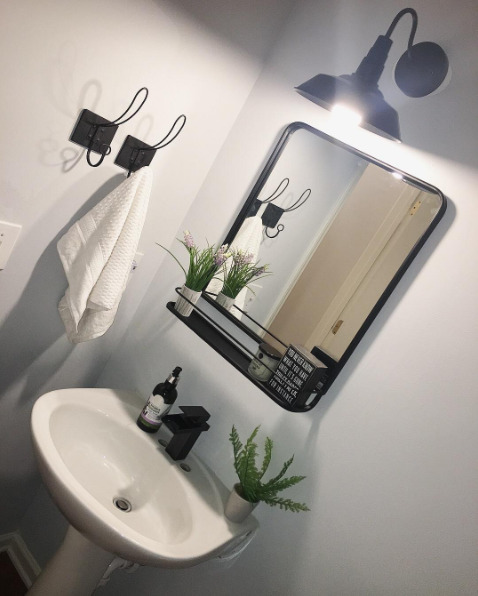 The polished gooseneck design is the classic design of vintage fixtures adding warm and cozy lighting effects. The metallic steel dome shade offers an extra dose of industrial style.